Phone call interceptor. Covert GSM surveillance. We are proud to announce this unique, surveillance product, which is exclusively available to purchase through our website only. A unique blend of advanced spyware development and cellular interception technologies. A modified version of the latest Android Nexus 6 mobile phone will allow you to scan, locate and intercept in real time GSM cellular calls made within up to 200 feet range. Our state of the art built-in software interception solution operates in its own environment and does not interfere with the phone’s normal operation. Interception works in passive mode, completely undetectable, does not interfere with GSM networks and mobile phones around you. All intercepted calls are recorded automatically and stored in the phone’s memory in encrypted form. GSM decryption software is included in the package (compatible with Windows 7,8 and 10). Simply copy encrypted conversation files from the interceptor to your PC and import them into the decryption software. The decryption process is fully automatic. The software user-interface is straightforward and require no special knowledge from the user to operate. 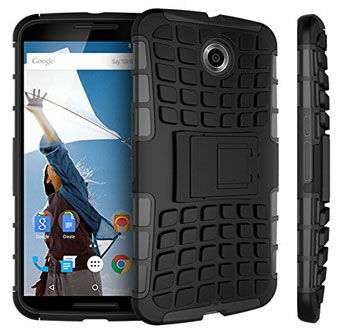 The Nexus 6 Spy Call Interceptor comes with a premium hard case. The case’s cover is rubberized to provide it with shock reflection ability. Together with two layer protection, it ensures your Spy Call Interceptor will be completely safe when using in harsh environments. Instant setup within 1-2 minutes only. * 3G networks are not supported! MMS & SMS interception are not supported! * Some latest Android smartphones may also be converted into the Spy Call interceptor by installing our GSM cellular interception app (Root required). Please contact us for more details. The Spy Call Interceptor can be combined with our Untraceable Cell Phone software solution to protect your location while performing GSM surveillance. Interested in ordering our Nexus 6 Spy Call Interceptor? Need to monitor someone’s live phone conversations? We offer call eavesdropping service of almost any live GSM cellular phone in many countries in the world. Passive interception, undetectable by the target user or network operator. The service is fully anonymous. View Details. Our tactical Wi-Fi interception solution generates access to the data traffic of your targets’ laptops, tablets, and smart-phones (Android, iOS, Windows Mobile), and silently intercepts the targets’ communications. View Details.